Casino revenue for two casinos known as Finger Lakes Gaming & Racetrack and the Saratoga Casino declined to 17 percent each in previous weeks. Their revenue is gone down because a third casino opening in the state. They both were expecting a decline in their revenue because of new casinos like Rivers Casino in Schenectady and del Lago in Seneca County. Steve Martin, a spokesperson of Finger Lakes casino said that we have been declined in customer traffic and it was as expected. The state gaming board declared their casino revenue after at least six weeks of operation of new casino in the state. There are currently nine casinos working in the region after 2014 when four casinos were legalized. So far the two new casinos which opened back in early February reported a decline in their revenue. Tioga Downs in the Southern Tier also saw a sheer declination in its revenue. The casino switched from video terminal to slot machines and table games. Slot machines revenue of the casino was recorded down by 14 percent that it’s previous year same month. Overall casino revenue of Tioga Downs’s was up by 2 percent only and thanks to additional 23 table games and 12 poker tables. Speaking to media Tioga Downs’ owner, Jeff Gural said that “I think when we get in to warmer weather and will get the hotel and golf course, we’ll do better. del Lago in Tyre, Seneca County generated gross revenue of amount $19 Million in its first six months of operation, whereas Finger Lakes Gaming & Racetrack generated $2.7 Million in the same period. The casino has 1,546 video terminals. Rivers casino of the same region generated $16 Million in it’s over five week of business. 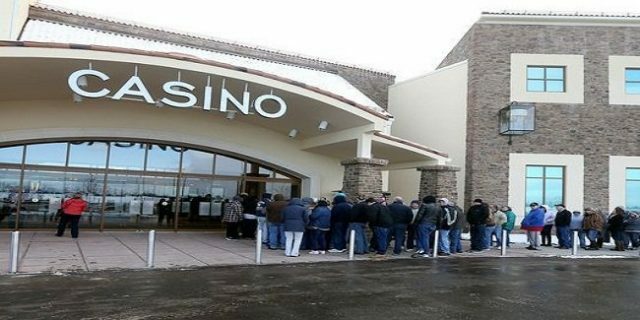 The new casinos are doing well since their opening. According to Jeff Babinski, the general manager of del Lago, we have done quite well in previous weeks.